how both sides of the border use underground and water from the Rio Grande. Water jug vendors prepare to make a run through the neighborhoods near Anapra on a late afternoon. Neighbors in this area must get their drinking water from local kiosks where these jugs can be filled. 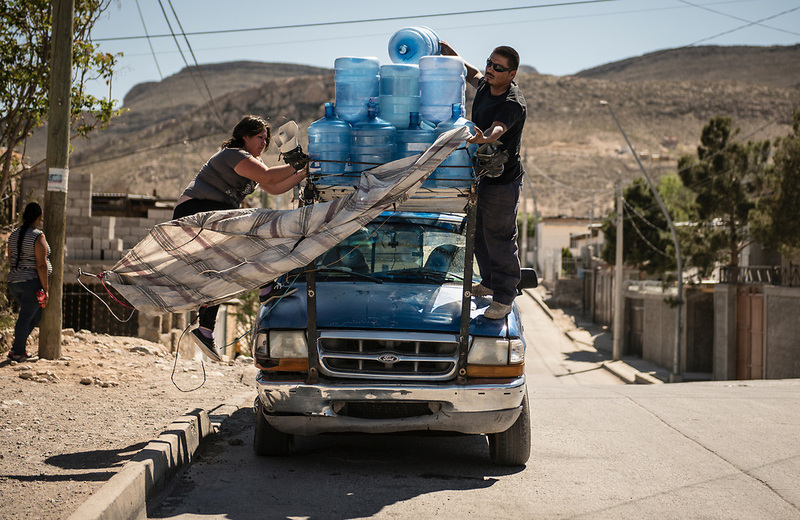 Story on how both sides of the border use underground and water from the Rio Grande.